With the announcement by Restoration Games that they are remaking Star Wars: Epic Duels, the classic Hasbro skirmish game, I thought I’d break out that old standby and reminisce a little. 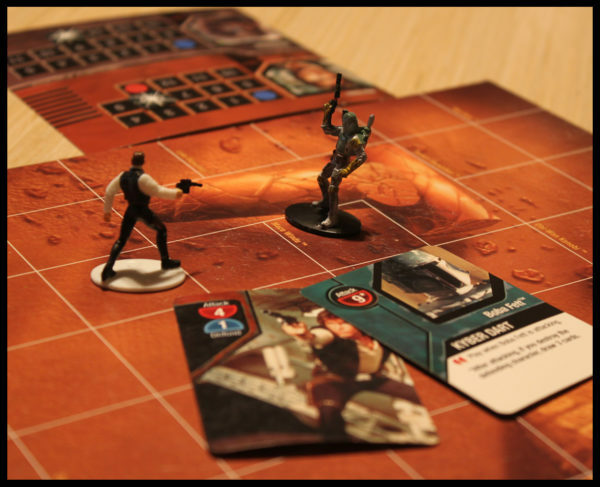 Much like Han’s luck above, the Star Wars aspect of the Epic Duels reboot is out. Unmatched will update the rules and game play but also feature more eclectic character sources like Sinbad or Robin Hood. Licensed characters are due to follow as well with some interesting choices like Buffy the Vampire Slayer and Bruce Lee. 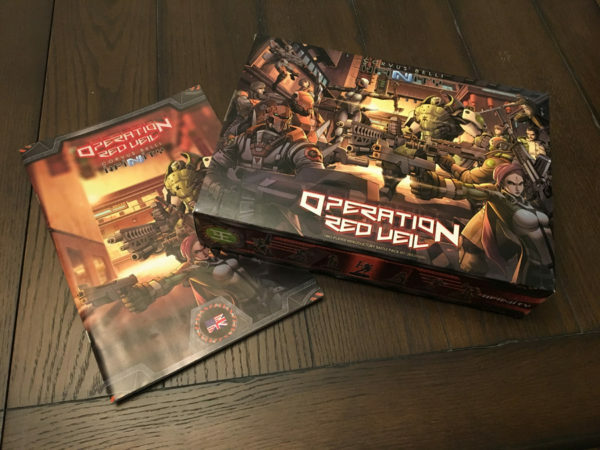 Make no mistake that I’ll be all over this at the release at Gen Con this year. 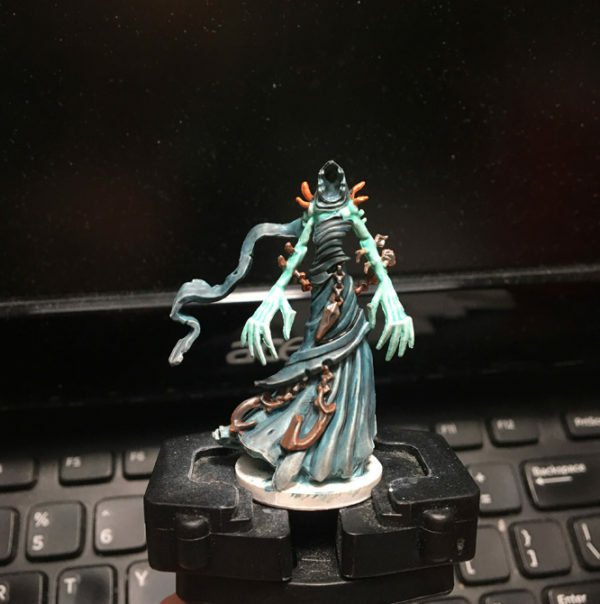 With my first intro game of Infinity under my belt, it was time to start painting up some minis but I really struggled to figure out my army colors. I’m playing Yu Jing but yellow just isn’t my color. Nothing wrong with it but it’s not a color I want to paint with all the time or play with. 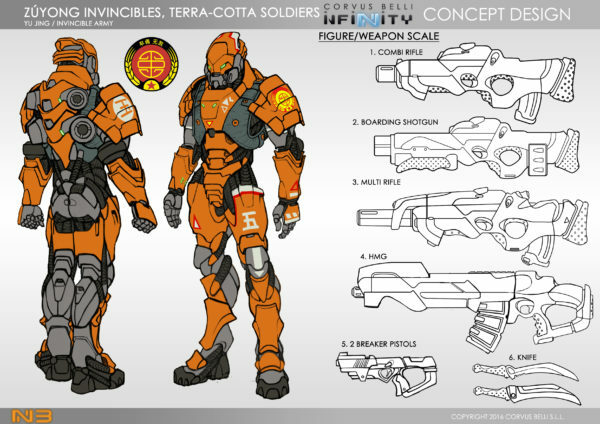 Red is usually my goto but Infinity has a major faction, the Nomads, that studio paint typically red. And my friend already has his Nomads red and I don’t want to confuse things. Lucky for me, Corvus Belli released concept art of the figures in an easy illustrated style that I can quickly mess with in Photoshop to see what I like. I posted this on Instagram last week (@pimpmyboardgame) but was actually able to play a little bit of Infinity this weekend. My friend has been talking about trying to start up Infinity for over a year when he picked up the starter Operation Ice Storm. 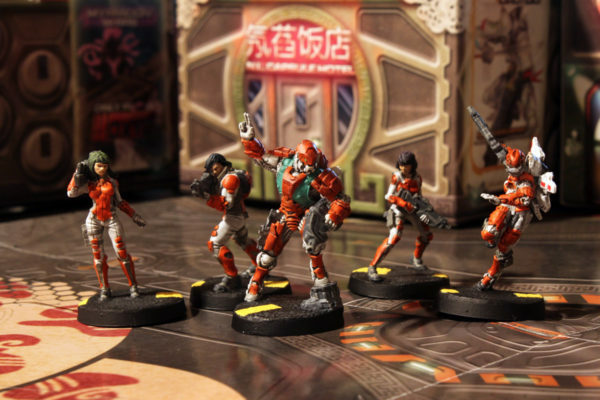 I’ve been wanting to get a little sci-fi skirmish game going, having considered MERCS first, and finally settled on Infinity due to all the good press and spectacular models. 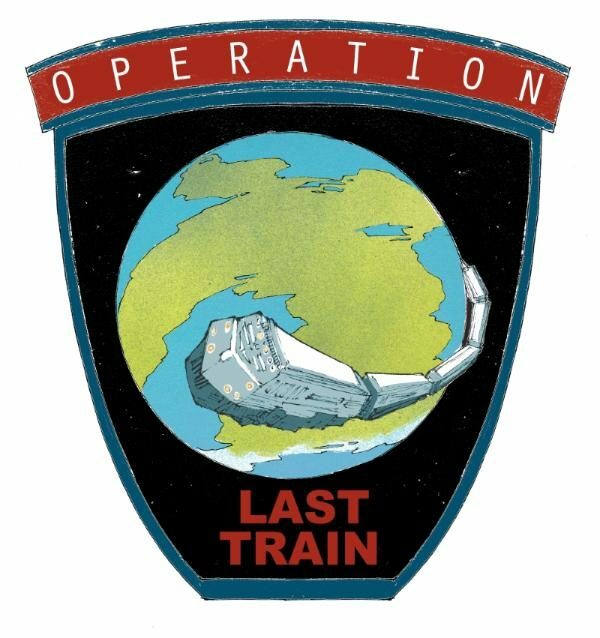 I ran across an interesting idea from Frostgrave designer, Joe McCullough, called Operation Last Train. The game is a new miniatures game set in a future world, doomed and overrun with voracious predators. Your team of volunteer soldiers are the only hope remaining to the scant survivors left on a planet scheduled for destruction. What made me sit up and take notice of the project is that McCullough tied the project creation to the charity organization, Save the Children. While the rules are free, I hope that you decide it is worth a few bucks to support the designer’s wishes to use our fun, brutal hobby to do some good around the world. I’ve already donated and I’m starting to read through the rules to see what all it needs. Like a lot of McCullough’s work, it only requires what you have on hand or what miniatures you want to buy. Looking ahead to our next Frostgrave session, I decided we would run the same scenario across both games to make things easier. I really like the idea of the maze-like library and theme in the The Library scenario but wanted more danger. The Haunted Houses scenario introduced wraiths and I thought that might be cool to have floating around the library, going through the maze walls like they were nothing. I recently picked up some of the shade monsters from Descent and knew I had the scenario laid out. With Colton and Reese’s game report in and my “narrative” session complete, I figured I’d wrap up the rest of the sessions by going over the some last items from reports with a quick write up of my game and a make-up game with the only member that couldn’t make it the first time around. But first, the centerpieces of our games, the Mausoleum and statues. Claw’s musty fur felt soft in her hands as Therelin stroked the old sleeping hound, his oversized head lying in her lap. The candles had long gone out save for one flickering guardian. Had the spell failed? It rarely did before but the night was queer and all the nervous tension leading up to this moment may have jinxed her calling. Still, all the old powers surged at the ritual’s completion so she felt something else must afoot. The hound’s ear twitched towards the door and soon enough, the young wizard heard the slow, heavy footfalls of her former guardian climbing the stairs. With a heavy knock, the unlatched door opened, ushering in a chill wind that guttered the last candle out. “Sorry your Grace, but the men are ready,” Tog said softly in the dark. Reese and I played The Mausoleum scenario in the core book. 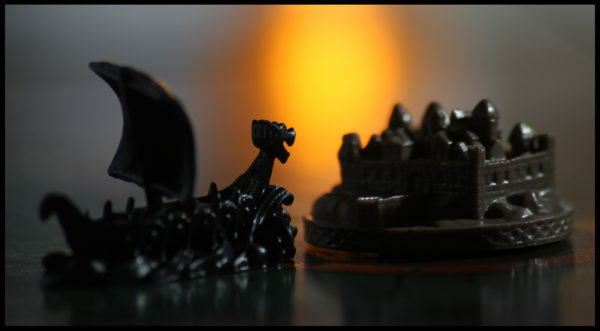 In this scenario, a crypt in the center of board stands silent watch over several valuable pieces of treasure. 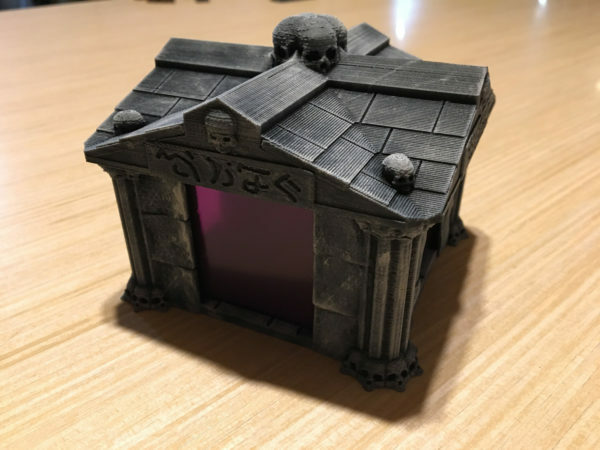 But something foul has gone wrong in this ancient tomb and the undead are restless.